Last year saw a worrying 32% increase in the number of heroin related deaths in England, which may have been reduced had naloxone been more widely available. 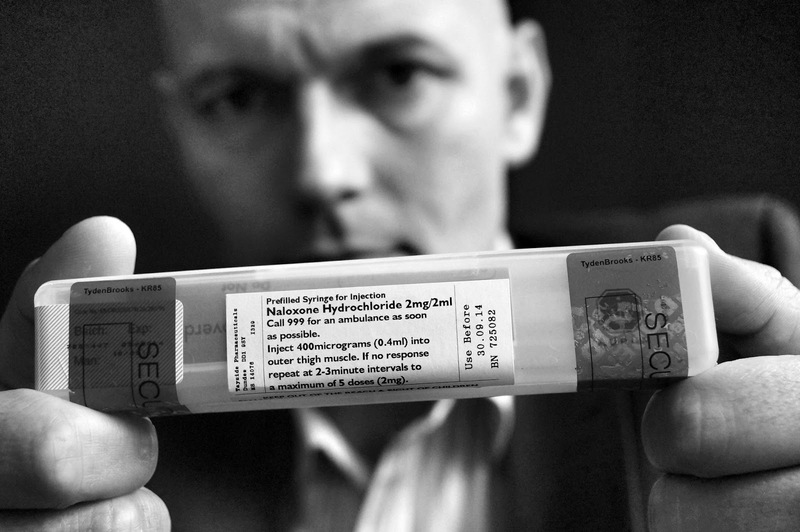 Naloxone is a medicine which is licensed for use in the treatment of suspected opiate overdose. The medicine is already routinely carried and used by paramedics in the UK. "fits with other measures to promote recovery by encouraging drug users to engage with treatment services, and ultimately, keep them alive until they are in recovery." Earlier this year the Department of Health responded saying that regulations would be developed by the Medicines Healthcare Products Regulatory Agency (MRHA), and brought into force by October 2015. In response to the rise in heroin and other opiod related deaths in England a number of organisations including DrugScope have come together to form the Naloxone Action Group for England. At a summit hosted called by IDHDP and Blenheim CDP we looked at the learning from the national naloxone programmes in Wales and Scotland and at how a Birmingham GP (Judith Yates) has taken action to increase access to the medicine ahead of the MRHA regulations coming into force in October next year. We heard from service users, drug treatment providers, NHS staff, academic and legal experts and others from across the sector and discussed actions we would want government, local commissioners, practitioners and manufacturers to take to reduce the number of overdose deaths. Last week an NHS England’s patient safety alert about the “Risk of distress and death from inappropriate doses of naloxone in patients on long-term opioid/opiate treatment” was sent to every GP and Pharmacist in the country. To be clear, the advice we have received is that, the alert is not intended to apply to the use of naloxone in the community, and where naloxone is being prescribed, prescribers are urged to continue to do so where they assess there is an acute risk of overdose, as previously advised. Although it is the case that naloxone used for ‘acute opioid overdose’ can cause withdrawal and the return of any pain masked by opioid use in chronic opioid users, these concerns are outweighed by the urgent need to rapidly reverse acute respiratory depression in an overdose situation. For adults, the dose of naloxone recommended to be used for acute opioid overdose is initially 400mcg, with further doses given only if required. If readers do come across areas which are considering (or have already) restricted their prescribing of naloxone, either as a result of the patient safety alert or for other reasons, please let DrugScope know in the comments below or by emailing us.